How can I sell my motorbike in Bradford with ease? It can be a real pain in the neck, can’t it. Traipsing around dealers, trying to figure out eBay motors & MCN… if you want a quick and hassle-free sale try bike trader, We Buy Any Bike. If you’re thinking, who will buy my bike?… We make selling your bike online fast and convenient while saving you a lot of stress. Try sell motorbike to We Buy Any Bike Bradford today, we’re the UK’s leading bike trader! 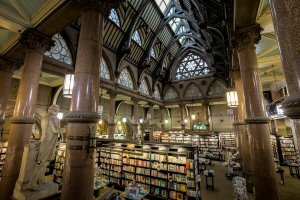 The City of Bradford is in West Yorkshire, in the foothills of the Pennines, 8.6 west of Leeds. 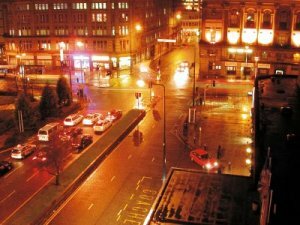 It has a population of 522,452; it has the youngest, fastest growing population outside London. Like the rest of the UK, the city benefits from a maritime climate, with limited seasonal temperature ranges, and generally moderate rainfall throughout the year. There is a big biking culture in Bradford, with many clubs, events and cafe hangouts! The Classic Motorcycle Show is held in Haworth, about 20 minutes from the city. This is a great place to check out classic vehicles and hang out with other bikers. A lot of Norton Owners Club (NOC) members like to attend this charity event. This is an amazing route on the outskirts of the city, taking you to the biker hang out Squires Cafe Bar. This cafe is about 40 minutes from the centre, there are many ways to get to the cafe but this is among the best. You will always see bikes parked outside Squires, it’s a great place to stop for a carvery and coffee! If you are in Bradford, Shipley, Idle, Queensbury, Allerton, Holme Top, Bankfoot, Bingley, Baildon or anywhere in the Bradford area We Buy Any Bike can be there in a flash to collect your bike for free! You might not already know this, but bike trader WeBuyAnyBike is actually based in Bradford itself! So, if you’re in Bradford and you’re curious as to how much your bike is worth… worry not! Come and visit us in Low Moor today! All you have to do is enter your motorcycle details, accept our offer and we will phone you to arrange a pickup time that suits you. It’s as easy as that. We make it easy to sell a bike online. We Buy Any Bike are the biggest bike buyers and bike trader in the UK, give us a try. 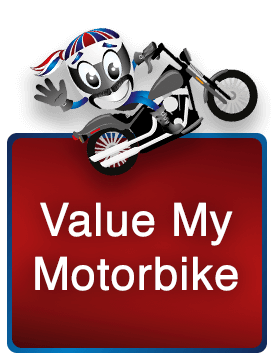 Get a We Buy Any Bike Motorcycle Valuation and before you know it you’ll have the cash in your pocket. simple smooth transaction, no arguments when collecting the bike trying to reduce the valuation offer, guy collecting the bike was polite and professional, a real treat and pleasure to have done business with. It’s great to read that you had such a good experience with us, and it was an absolute pleasure to buy your bike, thank you so much for your kind comments. It makes us proud to read reviews like this about our business. I would like to say thank you to we buy any bike , sad to say goodbye to my bike but never rode it for a while now , a very fair price given for it , collected by a chap called Andy , a credit to his company , very thorough and must say hard working , I would recommend We Buy any Bike to my friends . Thank you for taking your time to write such a lovely comment on WeBuyAnyBike. It always makes us very proud to read comments like this on our blog! It was truly a pleasure to buy your bike and I will pass your message onto Andy when he is next in the office. Thank you again for your kind comments and your recommendation. From all of us here in the office.